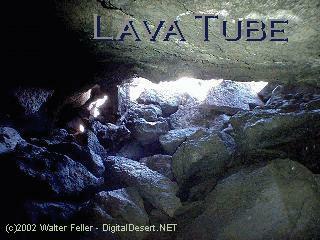 Lava tubes are formed when flowing lava rolls into a low spot in the field. 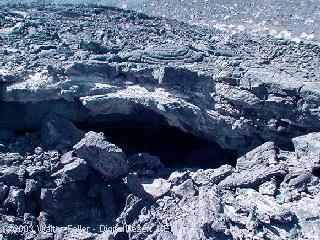 The top will cool and roof over. 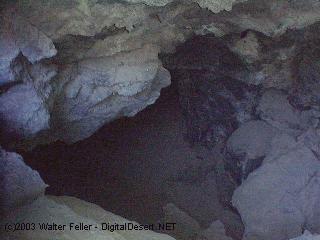 The inside will continue to flow. 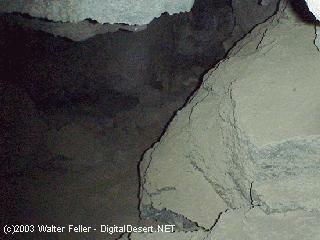 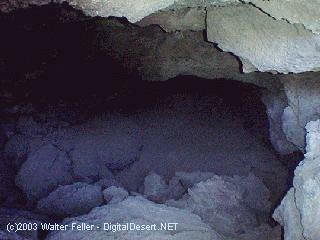 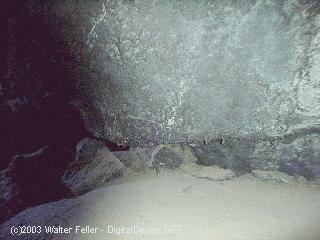 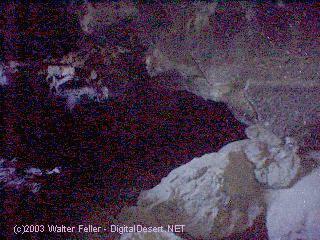 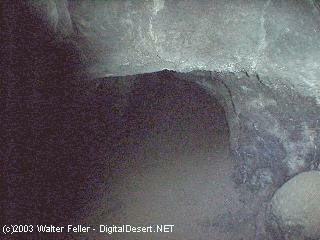 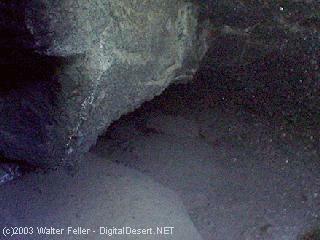 This particular cave splits off into two directions from the opening running about 30' one way and about 50' the other. 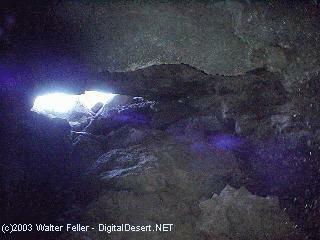 Several smaller vent holes can be seen letting light in through the approximately 12' high roof.